● Rebtel has an ongoing referral promo. 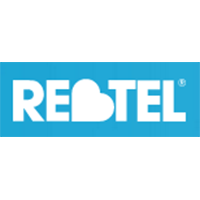 Create your free account at Rebtel.com, share the apps (via Twitter, Facebook, or email), and get $5 (€4 or £4) for every friend that makes a payment. ● You can call your friends for free as long as you both use Rebtel. Rebtel also has an ongoing promo for first time users: their first call is free. ● There are occasionally offers for limited-time discounts on Rebtel apps and software; discounts usually can be up to $10 and available via external coupon sites. RebTel bills itself as the “rogue” telecom company, and have made it their mission to provide individuals all over the world with the opportunity to call their loved ones anywhere on the planet for next to nothing. An international VoIP service that provides crystal-clear voice quality across Wi-Fi and 3G services, they are one of the few international VoIP services that can promise no drop calls or bad connections. This service can be used on any telephone (including land lines), and is also available as a mobile application so that people can make international calls using the service with nothing more than their cell phone and an active cellular connection. For most up to date offers check out Rebtel on Facebook and Twitter or contact Rebtel Support for any questions.